The difference between a detective and an investigator. Martin Investigative Services (State License # PI 9077) is a licensed private investigative agency. When individuals refer to a private detective, what they usually mean is a private investigator. Detective is a term typically used to refer to police work, popularized by old Hollywood films and serial novels. Investigator is the term more commonly used in the private sector. It follows that a detective agency, is actually a investigative agency. Martin Investigative Services is a private investigative agency. 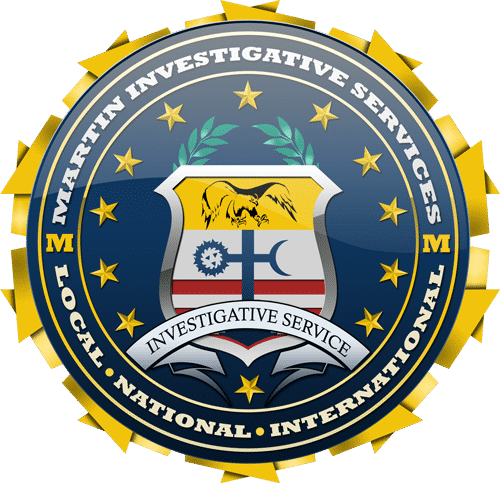 Martin Investigative Services is a full-service investigative agency composed of highly-regarded and experienced private investigators that are former Federal agents, former local law enforcement officials, and industry specialists. All of our investigators are licensed by the state in which they operate. At Martin Investigative Services, we hold ourselves to the standard of providing the best possible service and treating our clients with the utmost respect, understanding, and confidentiality. We will be upfront with you about what your options are, what services we recommend for your situation, and most importantly what NOT to spend your time, money and energy on. As an agency with multiple professionals, each with specific areas of expertise, we offer our clients what few other investigators can: A team-based approach to solving your problems. If your needs go beyond the traditional services we provide, we can refer you to our roster of industry professionals to suit your needs. We work directly with distinguished lawyers and local, state, and Federal authorities to open doors for you. The cost, or the end result? There are many individual private investigators in the United States, and for some situations their services can be both effective and relatively inexpensive. What is more important: the cost or the end result?